I am not here to throw cold water on the glorious feeling of being “in love”, but there is fallacy concerning our emotions that needs to be reexamined – this fallacy has caused intense pain and relational strife with millions of individuals just like you. Over the ages we have been handed down false depictions of love from poets, songwriters and is currently propagated by much of our present-day entertainment world. All the above statements are based on a feeling, one that can come and go based the the actions of the other. Is true love really that fickle? Can we be in love one day and not in love the next? Can anyone stay in love for a lifetime? Psychologist and Neuroscientist Dr. Lisa Feldman Barrett has studied emotions for over twenty-five years and has come to this conclusion. This is not to say that emotions are not real, they are very powerful and influential. Emotions are the primary means for most of our decision making. As any good salesperson will tell you people make buying decisions primarily based on feelings, not facts. How we feel about something is far more predictive of our behavior than our rational processing of information. In other words, we buy the sizzle, not the steak. So, if our brains were not prewired to experience emotions where do these emotions come from? Our minds use past experiences to predict what is happening now and what will happen in the future. These experiences are held in the amygdala which acts like a reference library to help us interpret information that is being received through our five senses. Emotions are connected to these past experiences and then filter our perception of our present circumstance. For example, have you ever had a bad experience with a certain food? Let’s say you got food poising from a serving of Kung Pao Pork and as a result, you had an all-nighter hugging the porcelain throne. Now let’s say several weeks later you walk into a restaurant and yes, there is a serving of the vile pork on the table next to you. What are the chances that you would be ordering Kung Pao Pork at that restaurant? Zero! Why? Because your memory of that experience has attached to it the traumatic feelings associated with your recent experience. Because that memory was fresh it was probably no problem connecting the dots between the sick feeling you had in your stomach and the food poisoning incident but what of other traumatic events that happen in our life that we don’t remember? Our brains have been taught to attach emotions to certain situations and when our brain recognizes this situation as similar (whether it is or not) the accompanying emotions are felt. We teach ourselves to think and feel in certain ways that create these patterns of behavior which can be detrimental to experiencing life and finding success. In short, we get stuck in these patterns and often don’t even know it. How many times have we told ourselves that we aren’t good at something because we had one bad experience with it? We then go on to accept that negative belief as truth which then subsequently reinforces that belief and then produces new negative experiences. The opposite can also be true. research has shown that when we enter into a new experience with a positive, optimistic attitude we are far more likely to experience a successful outcome. We are not biological automatons doomed to experience our negative emotions over and over again. We have the power to change, even if it doesn’t feel that way. And that is where we come to building loving relationships. Intimate relationships can cause the greatest pleasure and the greatest pain … that’s because they are INTIMATE. In other words, you allow another human being close enough to bless and/or curse you and sometimes at the same time! However, you are in control as to how you are going to allow your brain to interpret your experiences. If you harbor anger, unforgiveness, fear, resentment and a host of other toxic beliefs about the relationship then you will experience a cascading effect of these beliefs which will produce all the accompanying conditions – depression, anxiety, hostility etc. On the other hand, if you are able to process any trauma that occurred and create a positive memory and perspective about the experience you will not be burdened by years of conscious and unconscious emotional “tagging” of future events. You will be free from the emotional scarring that comes from ruminating on the pain and free to experience your present situation without all that harmful baggage. Instead of his thoughts tearing him down and demotivating him from going forward in his life he now can take the same experience and make more positive, healthy and empowering structures in his brain. And that is one of the great mysteries and miracles of the human brain. Our very thoughts create structures in the neuron cells of our brain. These structures are called dendrites and they hold the key to producing health and happiness. When our thoughts are loving and positive they create cell structures that tell our endocrine system to produce the hormones that will cause us to have euphoric feelings of emotional well-being - and yes even love. These are critical to growing and deepening your relationship. But that will never happen unless and until you are able to control the flow of negative thoughts that come out of you. So here are some key ways to change your brain concerning relationships and how to maintain positive, healthy emotions toward your partner … and yes even deepen love! So, it is your brain and the way you choose to think, that remains the starting and finishing point to all healthy relationships. 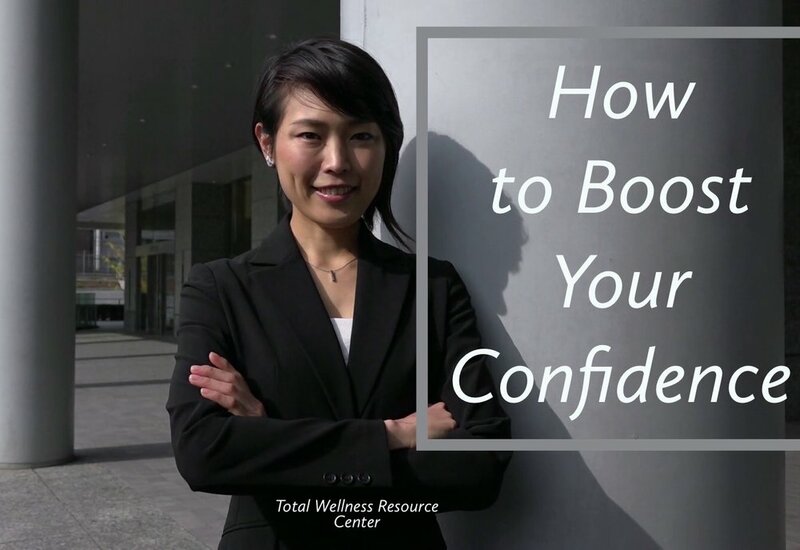 We at Total Wellness Resource Center are committed to helping you become the best version of yourself through our commitment to empirically based truth shared in a loving, spiritually attuned atmosphere. If we can help you along your life’s journey don’t hesitate to reach out to us. MANY PEOPLE CHOOSE TO SPEND MORE TIME PLANNING THEIR VACATIONs THAN THEY DO THEIR LIFE. BUT…. So, if you want to make 2019 the best year ever, completing this free Life Plan template is an amazing way to start. Happy New Year !!! Writing an annual Life Plan is an opportunity in which you are able to focus on yourself and your personal / professional dreams. It is a time to explore and discover your core values, goals, and your sense of purpose. Why is it important to create a Life Plan? I always tell my clients, “If you don’t know how you are getting to where you are going, , the chances of you getting there are slim to none”. In the coaching /consulting industry we use a lot of metaphors and storytelling to get our point across. When I initially meet with one of my clients in Life Coaching or Business Consulting, I always ask to see their plan. More times than not, they point to their head and say, “It is all up here”. When I press further, I find that they have many fragmented thoughts in their head with no true action plan to drive results. Could you imagine planning your vacation this way? You are sitting behind your desk at work when you realize that you have two weeks paid vacation coming up. Immediately you start daydreaming of warm beaches, sand between your toes, and an empty to-do-list on your smartphone. You start counting the number of days to when you can silence your alarm, pull the sheet back over your head, and “if so desired” eat breakfast at 2:00 PM. As the day gets closer you find it hard to focus on work because you are going to have the best vacation ever. Finally, the day arrives … your alarm goes off, you wake up to the howling winds outside your Chicago apartment and click on the news to learn that it is 30 below “Wind Chill factor” and all you can think about is getting to the warm beach. But then you realize, as if the cold wind just hit you in the face, that you never put action to your dream. There is no airline ticket, no hotel room, in fact, you never even saved a cent for the trip. Sound farfetched? Not really, it happens every day to millions who have “ideas” with no plan. How can this Plan help you achieve different results? This template is structured to help you organize and optimize, and take control of your thoughts and destination. Do you know that no two people’s brain works exactly the same? Yes, it is true. Out of all the billions of people who have come before you, lived beside you, and will walk this earth after you – no two people’s brains operate identically – not even identical twins. The way your brain interprets sight, sound, taste, smell, and touch, as well as your perceptions are unique to you. To take it one step further – neuroscientists now recognize that your mind is separate from your brain. No longer do they believe your brain controls your mind, but rather your mind controls your brain. What does that mean? It means that you CHOOSE the way you think. You are not a preprogrammed robot with limitations - but rather a unique individual who can think and choose the direction of your life, resulting in unlimited potential. By now you may be wondering why I am giving you a brief lesson in neuroscience since you logged on for a FREE Life Plan Template. Well, because I believe that in order for you to make your plan succeed you must first understand that you have the ability to Think and Choose Success. Once you fully understand that you have a choice on how you think and respond, you can start making positive choices that will silence the “self-limiting thought patterns’ and open your mind to the possibility of living your dream life. So, Lets Get Started You can do this! Join our Team on Facebook, Instagram, Blogs, and Tweeter to learn how you can live the life you are created to live. Your Brain / Mind Connection is unique to You - Learn How to Discover the True You. We invite you to start on this exciting journey so you can make this New Year your Best Year.